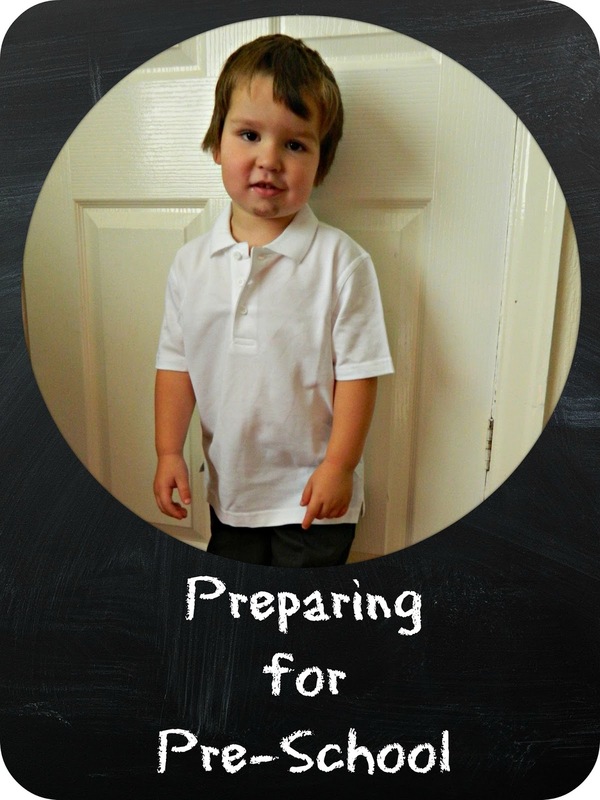 In less than a week my boy starts his journey into education when he takes up his place at our local nursery (pre-school). I'm trying not to worry and I'm sure he will be fine. The nursery is rated outstanding in all areas by Ofsted and is a warm and welcoming place. We'll see how he gets on on Wednesday after his first proper session. He'll be attending for five mornings a week, I know lots of people prefer to take their 15 hours of funding in day blocks but I feel that this will work for us and will start to prepare him for the routine of going to school next year.It will also give me some much needed time to focus on Little Miss. I'm really looking forward to spending one to one time with her. I've been thinking about what he will need for nursery. Our nursery promotes outside play as much as possible so children are expected to get a bit messy. They recommend uniform as it's hard wearing and easy to keep clean so we've been buying it for him. Marks and Spencer School Uniform was recommended to me for lasting a long time and washing really well, just what every mum wants really. 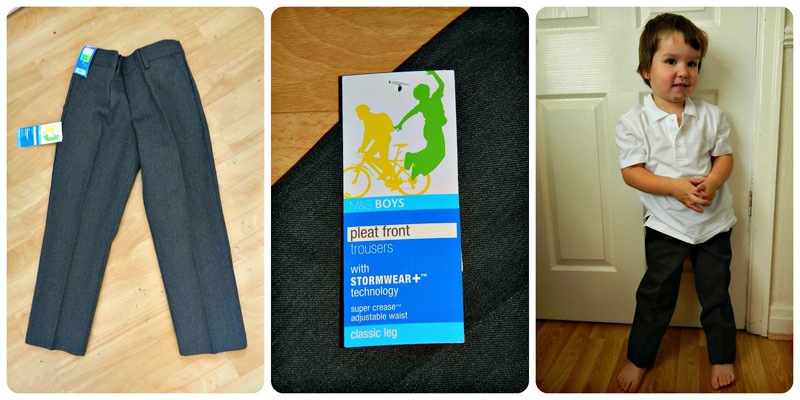 I was sent a pair of their Boys' Pleat Front Trousers with Supercrease™ & STORMWEAR+™* in age four. They are a very smart pair of trousers which are crease resistand and designed to repel water and stains. Perfect for my mucky pup! The trousers are pull on which is important as Bud hasn't really mastered buttons yet and I love the adjustable waist which allows you to get a really good fit on the waist. At £8 I think they will be a good, hardwearing pair of trousers with the usual Marks and Spencer quality. I remember from my time working at a nursery that children tend to pick up all sorts of coughs and colds at this time of year so, to be prepared I've been giving Bud a multi-vitamin everyday. These chewy Disney Cars Multivitamin Gummies* from Vitamins for Kids (US Nutrition) are really popular with Bud, he loves the car shape and the taste too and at £8:99 for 60 gummies I think they are good value if your child needs a boost to their diet. 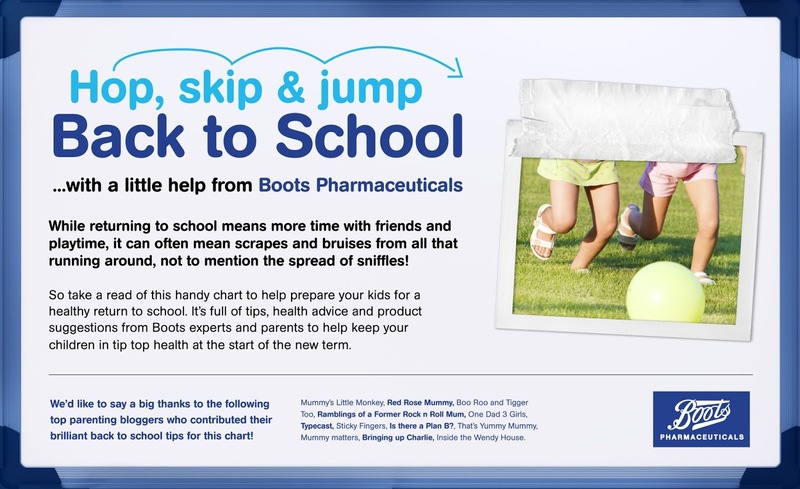 Knowing what to do about various childhood ailments is always a struggle and I've been very pleased to take part in the creation of a Back to School wallchart* with Boots. 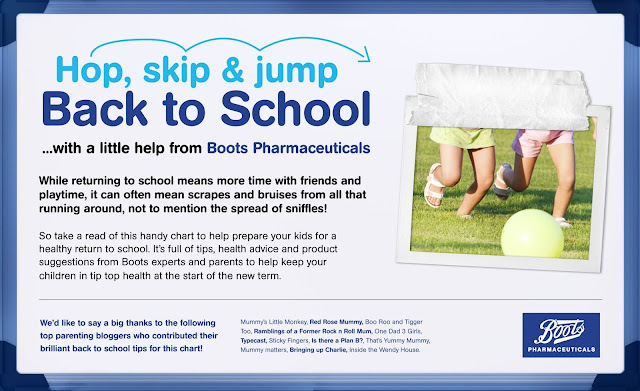 The wallchart can be viewed online or downloaded free of charge and is packed with tips from both Boots' experts and some of my fellow Parent Bloggers to help the back to school period pass smoothly and easily. We have a hard copy of it and I think I'll be putting it up on the wall in the kitchen to keep the tips to hand. I'm sure Bud will be starving when he finishes nursery at lunchtime each day so I've been looking for healthy and nutritious snacks to offer him on the walk home. I don't want to resort to sweets or crisps! Luckily I remembered just how much my two love Ella's Kitchen's Smoothie Fruits* pouches. I reviewed The Orange One with Bud back in my earlier blogging days and the range has continued to be a firm favourite in our house, with all five flavours being equally popular. 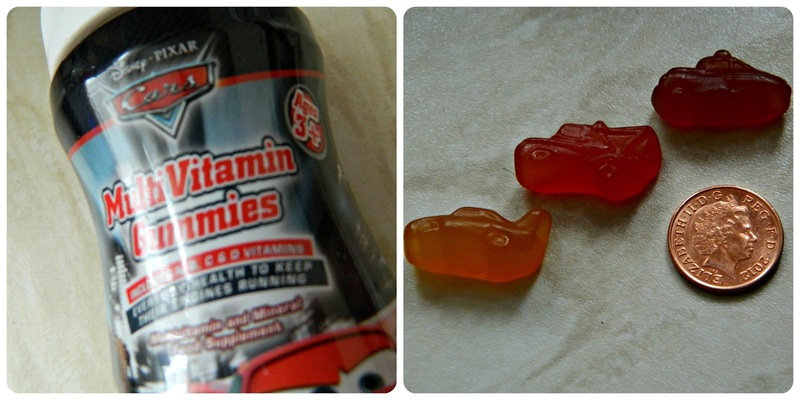 I think they would be a great addition to a lunch box for an older child too, they definitely are not just for babies. They are available in all major supermarkets so handy to pop into your trolley when doing a main shop. The main way we have been preparing for the big day has been to talk about it a lot and I bought a couple of books to read about it too. See You Later, Mum! and Maisy Goes to Nursery have both been popular choices at bedtime story time lately and I think both of have helped him to understand all about going to nursery, what will happen there and being left there by me. So, what will Little Miss and I do when Bud is having fun at nursery? Well, as my girl usually naps from around 10am I think I might get to enjoy a rare cup of hot coffee! I've been trying out the new range of Percol Fusion All Bean Instant* coffees lately. I really like whole bean instant coffee and was really pleased to see Percol launch one as their decaffeinated coffee was the only decent one I found to drink when I was pregnant. The Kilimanjaro is prepared in exactly the same way as a 'normal' instant but contains micro-ground, handpicked Arabica coffee beans for a much bigger, rounder flavour. I'm really enjoying it and I'm sue I'll enjoy it even more when I get a hot cup of it! We had a little visit to Nursery today so Bud could have a look around and we could collect his uniform sweatshirts. He seemed to love all of the toys and outdoor play and, a few times, he wandered off away from me so I'm hoping he will be confident and happy when he starts on Wednesday! I'll probably be in pieces though! 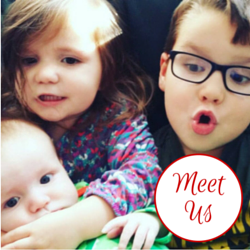 How did starting school or nursery go for your children? Disclaimer: I received review samples of all of the items marked with *. All opinions are my own.